Legal blogging isn't dead, it's just changing. 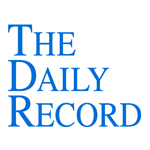 This week's Daily Record column is entitled "Cloud Computing for Lawyers: Billing in the Cloud." A regular Rochester, New York reader recently emailed me and suggested that I write an article about cloud-based billing and time tracking software. He explained that while he wasn’t quite ready to move his practice management software to the cloud, he was considering the option of billing in the cloud. Like most lawyers, this attorney is understandably cautious about the idea of moving all of his confidential client data to the cloud. For lawyers like him, a viable option is to forego SaaS-based law practice management systems, while handling certain types of less sensitive data in the cloud, like billing. 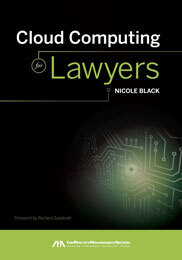 Law firms that go this route will continue to manage their law practice using traditional, server-based software, but will benefit from the flexibility and convenience of utilizing cloud-computing platforms. For most attorneys, billing and time tracking, while sometimes an arduous task, is a necessary evil. However, at the end of a busy day, it can be difficult to recall the exact tasks completed throughout the day, including how much time was spent on each task--a frustrating situation, since lost time is lost money. Billing and time tracking software can help to alleviate some of these problems, since an intuitive, easy-to-use time tracking and/or billing system can make all the difference when attempting to account for lost billable hours. Most web-based law practice management suites incorporate billing and time tracking software right into the platform. However, if you’re not in the market for a full-fledged law practice management suite, there are a number of good, cloud-based legal time tracking and billing services available that can supplement your current system. Some services even offer smart phone applications, making it even easier to keep track of and bill for your time on the fly. For many lawyers, this added convenience is a deal breaker. Access to a smart phone app means that you can fire up the app and bill for the time spent in court before you’ve even left the courthouse. A few of the more well known online billing products include Time59 (www.time59.com), TimeSolv (www.timesolv.com) , and Bill4Time (www.bill4time.com). All three companies offer a 30-day free trial. Time59 is a web-based time and expense tracking software product that also offers LEDES invoicing and Quickbooks-friendly exporting. Time59 is geared toward solos and is designed for use by a single user versus multiple users. It allows users to input and keep track of hourly billing projects. Time59 costs $49.95 per year and can be accessed via a mobile phone. Another service, Bill4Time (www.bill4time.com), offers web-based billing software that can also be accessed using a mobile phone. Bill4Time allows use by multiple users and tracks time, provides invoicing and integrates with Quickbooks. Using Bill4Time you can bill hourly matters, flat fee matters or a combination of the two. Depending on your needs, Bill4Time costs between $19.99 to $39.99 per user, per month. Finally, TimeSolv Legal (www.timesolv.com) provides a legal billing and time tracking system that is accessible via your desktop and using the web interface. Timsolv integrates with QuickBooks, MYOB, and Timeslips and offers LEDES invoicing. Timesolv allows for multiple users and billing methods and the company offers assistance in exporting data from a server-based billing system via an online session and will then import the data into Timesolv, at no charge. TimeSolv offers a base plan of $14.95 per user per month, with volume discounts available. We actually have a number of Rocket Matter customers who only use our time and billing functionality. They like the flow of the interface. Just want to clarify that although Time59 is aimed at solos, it can handle time and billing for multiple timekeepers and any number of hourly rates. Also includes Trust Accounting. Thanks for the mention! thanks for the mention of Bill4Time. new features being released all the time - check www.bill4time.com/blog for updates.